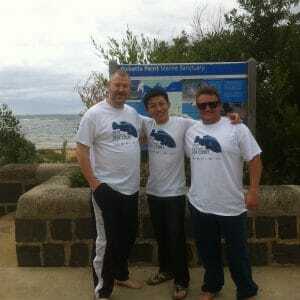 Conditions were grey and overcast for Aquabilities “Great Victorian Fish Count” Day – 15C water temp and 3m visibility. Not ideal but despite the weather; Adrian, Chris and Peng arrived full of enthusiasm! The team entered the water with their identification slates that had more than 30+ fish species to locate and count. Unfortunately, our avid conservationists only got to see one Port Jackson shark, a sea cucumber and a sea star! Not one fish. We suspect that the weather played a large role in our lack of sightings with all the fish well in hiding. Oh well, that’s field work for you! A big Thank you to Adrian, Chris and Peng who put in a huge effort to be there on the day. We hope to take part in next years Great Victorian Fish Count event ideally with a shore and boat dive.